After completing my degree in Hospitality, Tourism and Leisure at Norwich City College I worked in the Hotel & Catering industry before changing disciplines for a short while and joined the Accounts Team at Norwich City Football Club. 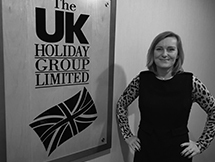 I missed the Hotel sector however and returned to what I love in 2010 when I joined The UK Holiday Group as Hotel Group Operation Manager where I manage our own group of hotels – everything from menu planning, the daily running of each individual hotel and recruitment. It’s a busy and varied role with lots of responsibilities and I enjoy every aspect of it. After completing work experience with The UK Holiday Group in 1994 I was offered a full-time position in the Reservations Department in 1995 and have been with the company ever since. 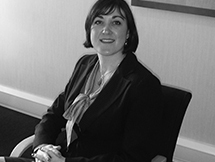 I quickly progressed my career and moved from the Reservations team to the Contracts Department where I assisted in the daily administration and formed strong working relationships with external hoteliers and suppliers. In 2011 I secured the role of Sales and Marketing Manager for our own group of Hotels and I continue to help grow the department, strengthen the business model and liaise with other tour operators to insure we are providing the excellent standard of customer service you would expect from any of The UK Holiday Group’s brands. 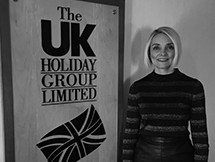 I have worked continuously in the world of Hospitality since the age of 16, joining The UK Holiday Group in 2013 to develop my career and further progress my skills. The main focus of my role is to manage online booking channels to improve sales and increase revenue for our hotel group. Prior to joining the team at Head Office, I previously managed The Nelson Hotel for the group, before semi-retiring and heading back up North. I got into the hospitality industry after leaving the Army and deciding to run a pub in a local village. After that, I spent 20 years working in golf and country clubs. My role here at HQ is to ensure all of our hotels live up to our high standards and expectations, including doing audits for health and safety, fire and food safety as well as liaising with agencies and organisations to make sure any required work is carried out efficiently with as little disruption to our clientele as possible. We're passionate about people at UKHG! If you have any questions or would like to find out more about any of our services, please get in touch.